living space, property value, and quality of life. GMH By Design will get you there. 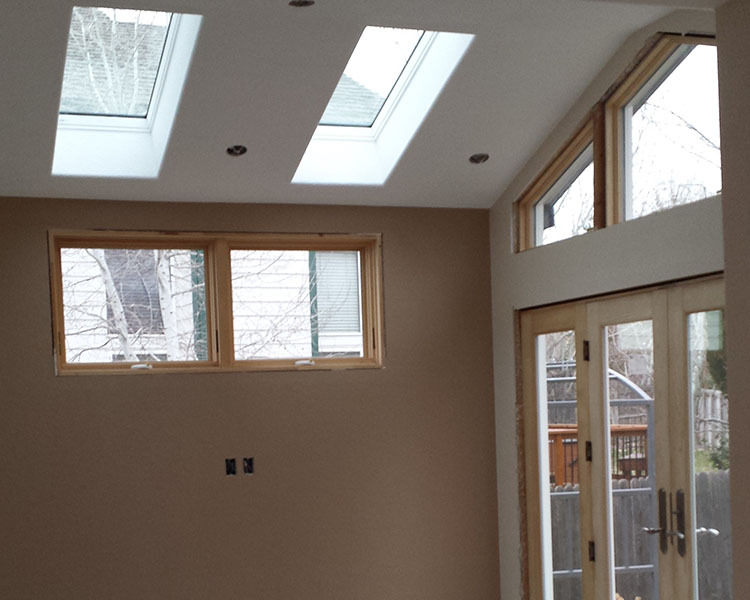 This project was an existing house that had an exterior concrete slab as a patio. GMH By Design was hired to design an addition on to the back of their house which can be an inside / outside space. This one hundred and fifty square foot addition acts as that space. The south wall of the space consists of doors which completely open up the wall to a wood deck. 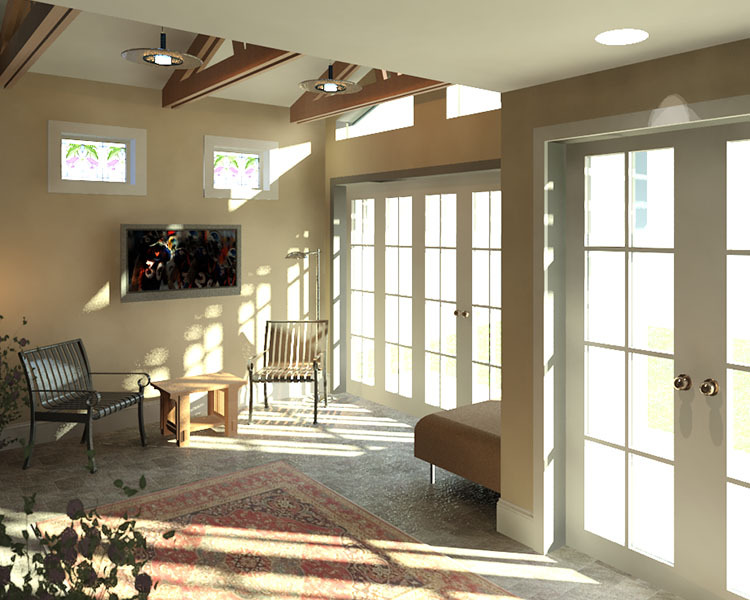 The sunroom opens up the kitchen and breakfast nook to a space that is flooded with light. The client utilizes this space particularly in the morning to drink their coffee in the bright morning light. Empty nesters who had this house built back in the 1990’s. 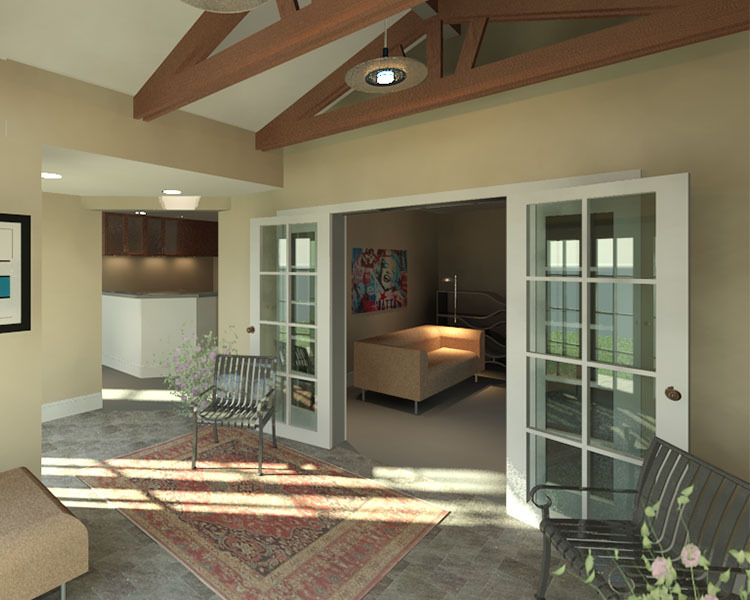 They were looking to add a small amount of inside space to benefit their quality of life.